Benfica's run of eight straight appearances in the group stage is in danger after PAOK Salonika snatched a 1-1 draw in Lisbon in the Champions League playoff round on Tuesday. All three of the night's matches, in what is effectively the fourth qualifying round, involved a former competition winner. PSV Eindhoven, European champions in 1988, beat BATE 3-2 in Belarus after both teams scored in a wild last couple of minutes. Red Star Belgrade, the 1991 champions, took 70 minutes to manage a shot on goal as they struggled to a 0-0 draw against visiting Salzburg. In Lisbon, Benfica, the 1961 and 1962 champions, had an edge in possession and goal attempts, but were punished for their wastefulness when Amr Warda, a second-half substitute, equalised in the 75th minute. After Fernando Varela met a curling Dimitris Pelkas free-kick with a meaty header that smacked the crossbar, the ball fell to the Egyptian who placed his shot through a crowd of players. Benfica had taken the lead in the final minute of the first half, when PAOK midfielder Mauricio ran into Gedson Fernandes from behind to concede a penalty. 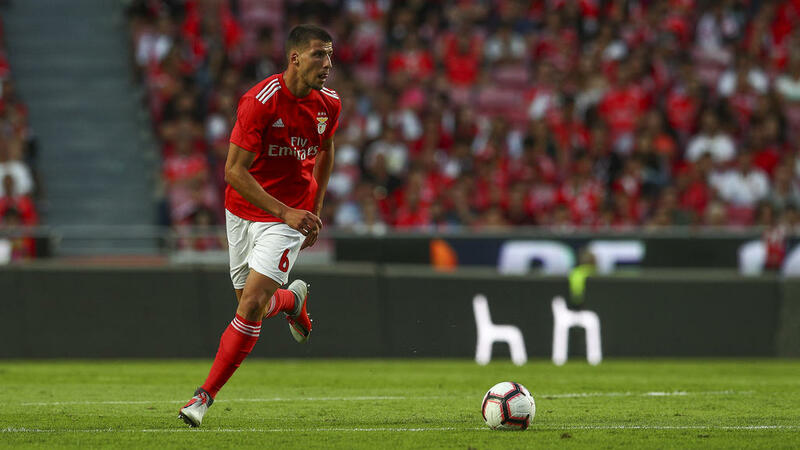 Benfica midfielder Pizzi made amends for several earlier misses by drilling the ball low into the corner of the net. Benfica have played in the Champions League group stage in each of the last eight seasons, although on six of those occasions they qualified automatically. Last season they lost all six group matches. PAOK have never advanced to the group stage but have already crushed Basel and eliminated Spartak Moscow in the qualifying rounds this year. In Borisov, BATE took the lead after nine minutes when Aleksandar Filipovic drilled in a low cross that Finn Jasse Tuominen smashed in from two yards. The Dutch champions responded in the 34th minute after Nemanja Milunovic handled. Gaston Pereiro's successful spot-kick was PSV's first shot on target. PSV took the lead when Mexican World Cup star Hirving Lozano swerved a shot inside the left post. Two minutes from time, 37-year-old Aleksandr Hleb, who had come on as a second-half substitute, met a panicky punch from Jeroen Zoet and volleyed the ball past the groping goalkeeper. But one minute later, another former Arsenal player, 19-year-old Donyell Malen, who had come on seconds before Hleb's goal, met a precise cross by Jose Tasende to head his first goal for PSV. The victory ended PSV's 10-match winless run in European games that stretched back to December 2015.